Firstly, a double-decker bus dubbed the Rock Like Queen Tour Bus will visit select cities in the coming weeks offering fans the chance to jump onboard and sing some of their favorite Queen songs together. The bus will be in New York City on January 25; Austin, Texas, on January 30; Las Vegas on February 5; and Los Angeles on February 12. You can reserve a spot on the bus by registering at RockLikeQueen.com; seating is first come, first served. The Rock Like Queen Tour Bus’ journey will end at the famed L.A.-area club The Whisky a Go Go, which on February 12 will host a free fan gathering called the “Get Loud” Extravaganza. The event, which begins at 7 p.m. PT, will feature musical salutes to Queen and the late Freddie Mercury, including a performance by the tribute band Queen Extravaganza. Tickets to the bash are available on a first-come, first-served basis at gofobo.com/GetLoudWithQueen. Also as part of the Bohemian Rhapsody promo campaign, the Amazon Alexa device will launch a new “skill” on January 22 allowing fans to sing along with Mercury when they call out “Alexa, play Ay-Oh live!” Freddie’s voice will then be heard singing his famous “ay-oh” chant from Queen’s 1985 Live Aid performance. In addition, a worldwide #StompforQueen online campaign has been launched asking Queen lovers to share a recently posted YouTube video via social media showing fans singing “We Will Rock You” or to create their own “Stomp, Stomp, Clap” clip. 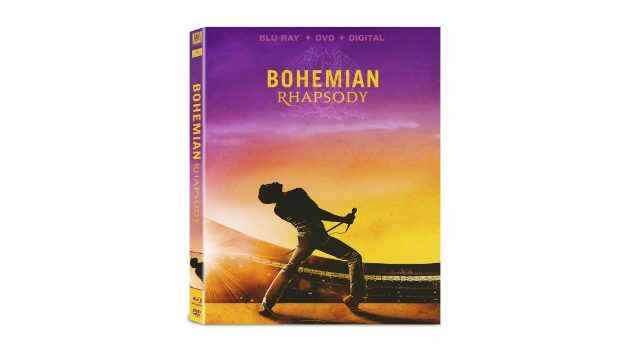 Bohemian Rhapsody will be released digitally on January 22, and on DVD and Blu-ray on February 12.